The response of Oklahomans in the U.S. House and Senate to the report by Special Counsel Robert Mueller was no surprise. 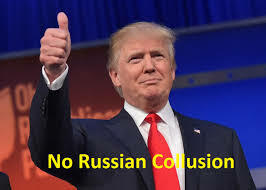 They suggested the report that cleared President Trump of any Russian collusion was expected and what they had been professing for the past two years. Rep. Tom Cole, another Republican also responded. Representative Kevin Hern (OK-01) released a statement as well. Oklahoma’s only Democrat in the House, Rep. Kendra Horn did not issue any statement after the announcement was made Sunday.